Jacob Yeguri from Botragunta is the founder of “Community Rural Welfare Development Society – CRWDS“. It is a development company for more welfare in the rural areas in the south east of India by the Bay of Bengal. This is a special partner of EBM INTERNATIONAL since they are thinking and acting long term. Others might ask for money for emergency aid and reconstruction of the destroyed houses after hurricanes that occur regularly. Jacob organizes campaigns called “disaster-risk-reduction”. He advises the elders of the poor fishing villages where and how to build storm-proof housing. He also emphasizes to teach people how to act during a storm warning and how to get one self and their belongings to safety. Usually a storm can be predicted 48 hours in advance. Jacob offers easy access to training for women so families aren’t penniless when a hurricane hits and destroys the boats. Independent from catastrophes this way there is also another income. A major concern for Jacob Yeguri is to run campaigns against child labour. 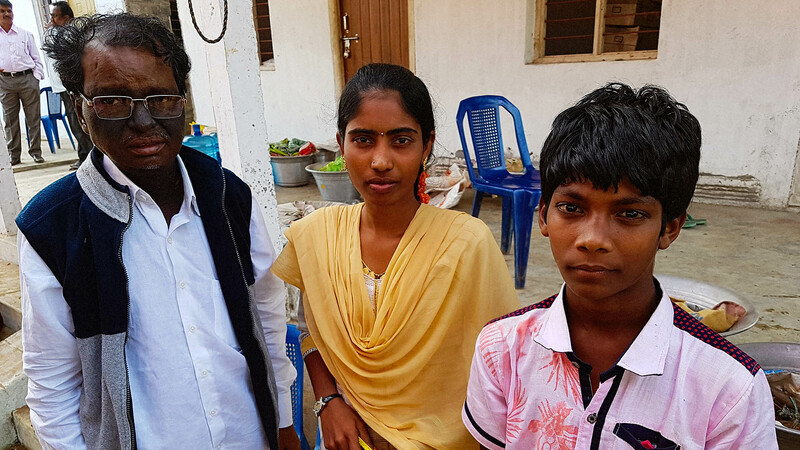 He does surveys of how many children have to work in every village instead of going to school. He also keeps statistics about the change. Jacob wants to convince people that it’s important for children to go to school and that it’s better for families long term to invest into education instead of short term income through child labour. He organizes tutoring classes for free and provides the children with school materials like books, notepads and school bags. The boy in the picture is called Nagendra Babu and he’s 14 years old. His father was a fisherman. He died in a storm in the ocean. The mother didn’t have another choice but to take him out of school and send him to work. She sent him to help in one of those fishing boats that are at sea for a few days in a row. This is very hard work. Jacob Yeguri convinced the mother to send her son Babu back to school. Now Babu comes to the homework group and he received school materials. His mother finished a training and she can now earn a living. 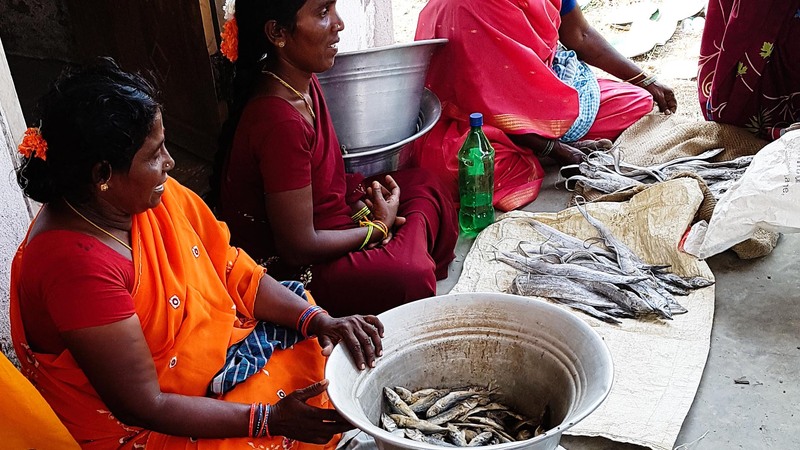 With 28 other women she learned how to dry fish hygienically and then to sell it when there’s no fresh fish on the market. This is not the only thing Jacob Yeguri does. In 23 fishing villages he proclaims the good news of Jesus Christ with many volunteers. They baptize people in the villages who then start coming to the local baptist churches. “Whenever we tell people of the good news and the salvation through Jesus Christ we also bring social reform and social justice.” EBM INTERNATIONAL supports this work annually with an amount of €5.000. We should have great respect for people like Jacob Yeguri who tells people the good news, leads them to Christ, and at the same time deals with their social needs. We can ask ourselves: What can we learn from him?